The Sphinx and the Great Pyramid of Khufu, Giza, Egypt. Photo by George Nicholas. Archaeology is generally defined as the study of material culture (that is, things) as a means of understanding peoples’ lives and their environments in the past. To accomplish this, archaeologists study ancient objects, places and people through a variety of methods, ranging from isotope analysis to lithic tool replication to paleoethnobotany and much more. The result has yielded astounding details about the past. We know, for example, more about the health of Ötzi, the famed iceman, 5,000 years after he died than he knew about himself. We know that the Parthenon frieze was painted in vibrant colors. The examples are many. We know, for example, more about the health of Ötzi, the famed iceman, 5,000 years after he died than he knew about himself. However, no less important than the remarkable discoveries being made by archaeology are how those discoveries are valued. Our understanding of the past is defined by three fundamental relationships: the relationship between archaeology and heritage, that between Western and Indigenous worldviews, and that between tangible and intangible heritage. 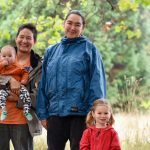 Together, they help to reveal how and why public understanding of Indigenous heritage needs to change. 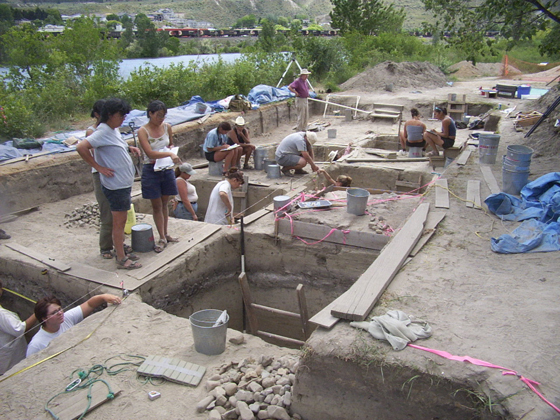 Excavation of a mid-holocene-aged occupation site by Simon Fraser University Indigenous Archaeology Field School, 2002, Kamloops, British Columbia. Photo by George Nicholas. My perspectives are those of an anthropological archaeologist who has worked with and for Indigenous groups in North America and elsewhere for the past 30 years. While firmly ensconced in a scientific approach, my views have also been strongly influenced by what I have learned from First Nations communities. To begin with, how do these two familiar terms, archaeology and heritage, relate to each other? I define the first as the process by which we learn what happened in the past through finding and excavating sites, analyzing objects (including human remains) from the past, and interpreting their age, function and so on. Heritage, on the other hand, is that set of values given to or possessed by objects, places and information derived from archaeology and other means, including traditional knowledge. There is a kind of symbiotic relationship between the two. Heritage resource management, for example, is dependent upon archaeological methods, yet decisions as to preserving some archaeological sites but not others are based upon their scientific, historical, religious or other significance. 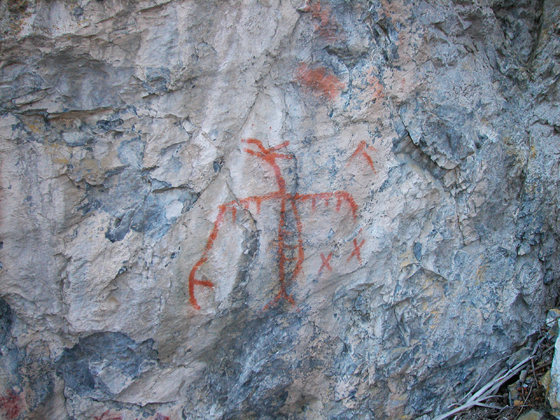 Pictograph, Secwepemc territory, British Columbia. Photo by George Nicholas. 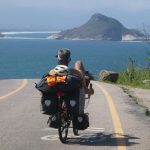 The notion of significance leads to the second fundamental relationship to consider, which is between the distinct ways that the world is conceptualized and engaged with by Western and Indigenous traditions. Western knowledge tends toward a reductionist, hierarchical model of description and classification, a Cartesian sense of order and a search for universalist explanation of the world. Such ideas emerged during the Enlightenment with the belief that the world can be neatly divided up and studied. The result is a categorization of the world and everything in it, evidenced by such familiar dichotomies as male/female, nature/culture, natural/supernatural and so on. Time is viewed as linear. And the archaeological record is considered to be the legacy of the shared past of all humanity. In sharp contrast, Indigenous epistemology and worldview are more particularistic and situational, composed of different bodies of knowledge. There may be more than two genders, for example, and time may be viewed as cyclical. The result is a worldview in which “the universe [and everything in it] is alive, has power, will and intelligence,” as Heather Harris (Cree-Métis) notes. This can be challenging, for Indigenous worldviews may lack familiar dichotomies between the natural and supernatural realms, the sacred and the secular or past and present. The result is a conception of—and engagement with—a world in which ancestral spirits may be part of this existence. For the Ktunaxa of British Columbia, the area known as Qat’muk—“where the Grizzly Bear Spirit resides”—is thus not a place or spiritual focal point but a living presence. Finally, there is also the contention that Indigenous peoples should be the primary decision makers over, and beneficiaries of, their own heritage. 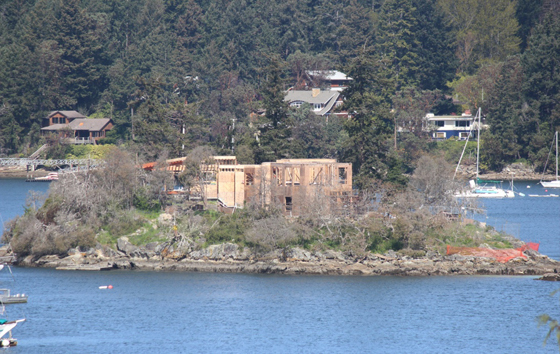 Construction of home underway on ancestral burial ground, Grace Islet, British Columbia, 2015. Photo by Kelly Bannister. The connection people have with each other and their environments is dependent upon and mediated through objects. In the context of heritage, what has too often gone unnoticed is that no object has any meaning without the values ascribed to it. From an archaeological perspective, those tend to be historic or scientific. Archaeology necessarily emphasizes the tangible while Indigenous conceptions of heritage are revealed not just by the intangible but also by relationships and responsibilities aligned with knowledge, objects and places. 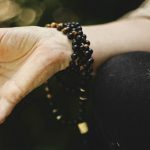 Even when acknowledging that one’s engagement with the world may be grounded in material culture, it is always filtered through the society’s collective knowledge, experiences, traditions, social obligations and origin stories that both shape and reflect what people do and why. All of this translates into a more inclusive definition of heritage, which I define as “the objects, places, knowledge, customs, practices, stories, songs and designs passed between generations that define or contribute to a person’s or group’s identity, history, worldview and well-being.” Such a holistic orientation is evident in the statement of one Yukon elder. When asked to define heritage, he said, “It is everything that makes us who we are.” Though a distinct concept of what we call “heritage” may appear to be absent in some non-Western societies, it may in fact permeate the fabric of those societies and the very being of community members in unseen ways. 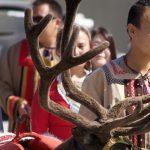 The differences between these two systems of knowledge have profound implications that go far toward explaining the intense concerns Indigenous peoples have about what outsiders may consider the “seemingly trivial” appropriation of their culture. For example, for the Sto:lo of British Columbia, carved stone figurines such as T’xwelåtse (“Man Turned to Stone”) are treated as actual beings, rather than mere representations. Likewise, pictographs (paintings on rock surfaces) are not simply historical documents to be studied or appreciated for their anthropological or artistic values, but reflections of a possibly still-active worldview and spiritual interactions. Thus, a T-shirt bearing an ancient rock art design is not just an unauthorized use of a group’s cultural patrimony, but may be considered dangerous since a spiritual being may be embodied in that image and harm the wearer. More generally, current provincial heritage policies continue to inadequately protect Indigenous interests. Among the greatest concerns that Indigenous peoples have are threats to sacred sites, cemeteries and other places of religious or historical significance. Part of the problem is that some significant places may be unfamiliar to outsiders, such as where ancestors were transformed into rock and reside there still. Likewise, for some heritage holders, physical expressions of heritage may be less important than their intangible aspects. 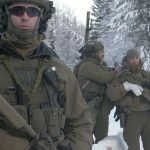 In British Columbia today, we are faced with huge challenges not only in protecting but also in understanding the heritage-related needs of First Nations peoples. Our engagement with those challenges necessarily occurs at the intersection of the three relationships outlined here—between archaeology and heritage, Western and Indigenous knowledge systems, and the tangible and intangible realms. If we truly wish to achieve a more equitable and respectful relationship with each other, then we also have to assume the responsibilities that come with a more informed understanding of different conceptions of heritage.